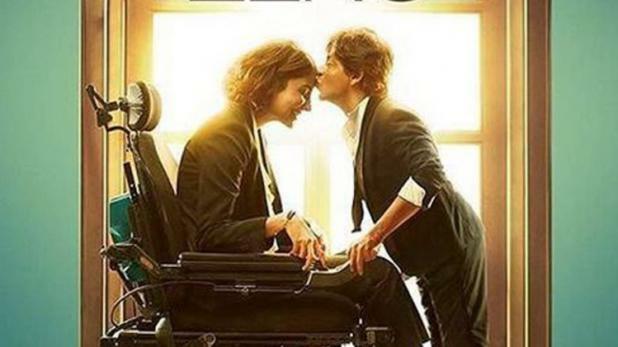 Zero box office collection Day 5:- Will Christmas bring joy to Shah Rukh Khan’s, Anushka & katrina film? HomeShah rukh and anushkaZero box office collection Day 5:- Will Christmas bring joy to Shah Rukh Khan’s, Anushka & katrina film? Zero box office collection Day 5: Zero, starring Shah Rukh Khan, Katrina Kaif and Anushka Sharma, has had a roller coaster ride at the box office so far. Zero has had a roller coaster beginning to its box office journey. The 1st weekend performance did not pan out as expected despite good buzz and extensive promotions. On its 1st weekday, the khan starrer remained steady. However, there is chance that the film will pick up on Christmas. Zero box office collection Day 5:- Shah Rukh Khan film is expected to earn well on Christmas. The film collected a total of Rs 59.07 crore in its 1st weekend. After earning Rs 20.14 cr.on its 1st day, Zero witnessed a dip in its collection due to negative reviews. However, it was back on track on Sunday with a Rs 20.71 cr. collection. The Anushka Sharma starrer received mixed reviews. The Indian Express critic Shubhra Gupta wrote, “Challenged people in challenging circumstances trying to find intimacy is a great premise, especially if there is awareness of how ‘out- of- the- norm’ people are forced to deal with so-called normal people. And Zero could have done it thrice over, because Aafia , one of its female characters, is a wheelchair-bound NASA scientist with cerebral palsy. The other is a reigning film star called Babita (Kaif) who shows her hurt, vulnerable side, in a couple of unvarnished moments. But Zero fails spectacularly at giving us anything we can believe in, and we go from start to finish, with disbelief growing with each passing frame.